There are key facts that an employee should know about his or her privacy rights. The following is a quick reference guide. For more detail, see the articles on this website. In the transport industry, there are legal limits on alcohol and drug use. Other industries such as construction, distribution, and utilities have alcohol and drug testing policies. To prevent misunderstandings, an employee should ask to see the employer’s policy. Employers install CCTV to protect stock and ensure staff security. 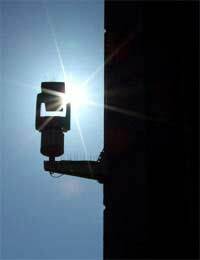 It is not usual to set up CCTV in private areas such as staffrooms. If CCTV use is excessive, an employee should speak to the employer. Unless there’s a special arrangement in place, an employer should not phone a member of staff out of hours at home. To prevent this, employees can refuse to reveal their home phone numbers. Furthermore, an employer should not make an uninvited visit to a staff member’s home. All employees, as well as employers, have obligations under the Data Protection Act. Employees, for instance, must treat all personal data with respect. Employees must take note of their employers’ Data Protection policies. Every company must keep certain business matters private. Employees must respect a company’s need to maintain privacy for the sake of commercial success. To ensure privacy, an employer may ask staff to sign non-disclosure agreements (NDAs). This is common practice in some industries. Some employees may have mental health problems, or physical disabilities. If so, employers must keep the details confidential. Employers must also not discriminate against anyone with special needs. Salary and bonuses are a private matter between an employee and the employer. Workplace IT staff can usually access employee emails. They may not do so regularly – or ever, in fact – but the possibility exists. To avoid conflict, an employee must check his or her employer’s policy on sending and receiving personal emails. Employees have the right to see the personal information employers keep about them. Employers should also have a mechanism for employees to correct this information if it is wrong or out of date. An employer may want a photo of every employee for security purposes. There is no automatic right, however, for an employer to use an employee’s photo for other reasons such as promotional material. An employer should first seek an employee’s permission. An employee should check the company policy on making and receiving private phone calls. An employee should not assume the policy doesn’t apply to private calls made and received on a mobile phone during working hours. An employee has a right to make outgoing calls without the employer recording the calls. Some people work in businesses where searching coats, bags, and so forth is an accepted security practice. Company privacy policies should reflect this. Apart from these organisations, employers do not have the right to search private possessions. Employees should keep their business social networking on the Internet separate from their personal social networking. Most employers are happy for staff to maintain good relations with customers by using networking sites designed for the business community. They are not so keen on other social networking sites, and may block access. Some employers don’t restrict Internet access at all. Their employees need the web for work-related research and information. As a guideline, an employee should limit personal Internet use at work to breaks and lunch periods. My employer’s solcitors are askingme to destroy all the corrospondent copyemails beten them and me regarding my unfair dismissal. Can they do so? I am taking them to Tribunal and need this to support my claim of unfair dismissal. @Lamchop - most employees give email addreses these days. Why would it harm you to do this? Just set up a new email address specifically for your job. Hi there, my employer has asked myself and colleagues to give them our personal email addresses and advised that wemay not get paid if we don't provide one, can they do this please? Having our email information is not critical to the job, we are cleaners! I work as a carer and have been ill for a few days. On returning to work one of the clients I look after asked how I was, I said I'm much better then he told me my supervisor had told him what was wrong with me and told me why I was off This is a total breech of my personal information and my confidentiality I don't want the people I look after knowing personal things about me What can I do? Can my employer legally serch my personal car?